I had every intention of writing this post this morning but then one thing led to another and before I knew it, here I am contemplating dinner and typing away. Every time I blog in the afternoon or night I wonder if anyone will read it? 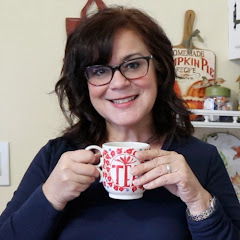 I usually do my blog reading in the morning with my coffee before I start on whatever housework or errands I have planned for the day and I wonder if you are that way, too? Every once in a while I will open up my laptop in the afternoon to see what new posts there might be but mostly I'm a morning blog reader. Well that was little off topic, I guess I should get back to the post. 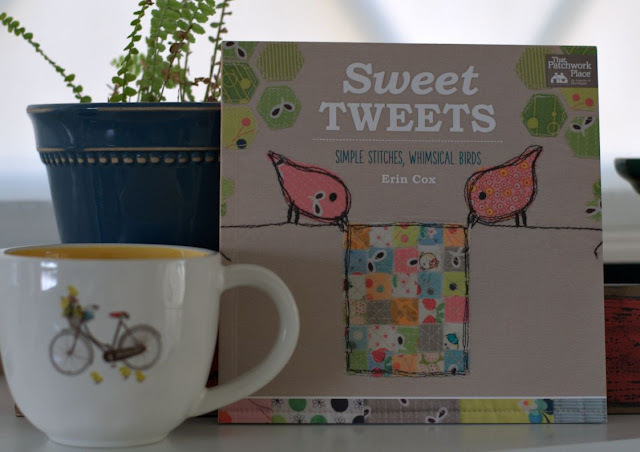 A couple of weeks ago I pre-ordered Erin Cox' (from Why Not Sew) book called Sweet Tweets. I have been anxiously stalking the postman waiting for its arrival and was so happy to see it in my mail box today. I love her whimsical style and the book does not disappoint. There are so many sweet projects in it that I want to make. As usual the issue is time, specifically not enough of it. But that's okay, I like the dreaming and planning stage as well. For now it's stacked on top of my growing collection of handmade books. These are my current favorites. I have a few more that are not pictured but for now these are the ones that keep me up at night. 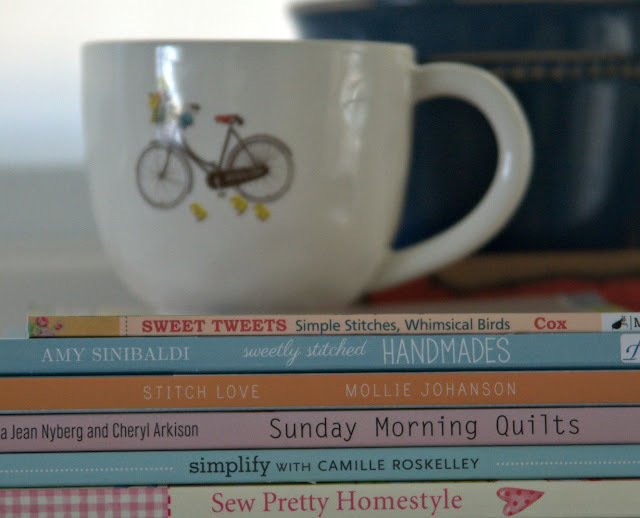 I think it will be fun to share a peek into a few of my other craft books in the future as well and maybe even show you a glimpse of my ever growing collection of fabric, too. Better get on dinner before the hubby gets home. I love fabric shopping and planning. When my oldest daughter graduated high school I made all the girls that hung out at our house a quilt for graduation. It was so much fun, sneaking around and discovering their favorite colors and choosing the pattern to fit the girl. That's been twenty plus years and I wonder if any of the girls still have their quilts. My daughter lost all hers in a house fire, quilts from me and Mom are all gone. You have an interesting collection there. I'd enjoy browsing through them all, I'm sure. Sunday Morning Quilts is especially intriguing. I wish I could get back to blogging and get some things in my Etsy shop too. I just can't seem to get motivated enough these days. Although, if anything could motivate me, you could with all the sweet little things you've been creating. Hello Patty from Australia. 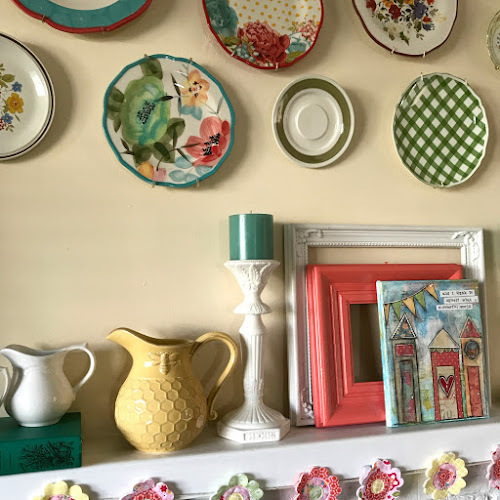 I love reading your blog, I love seeing photos of your garden, your fabrics and your decorating. We have very similar tastes. I have to say I love your collection of cups. Where do you get them from. I love your bike cup on todays post. Its so cute. That looks like the cutest book. I just got into sewing big time and love it. 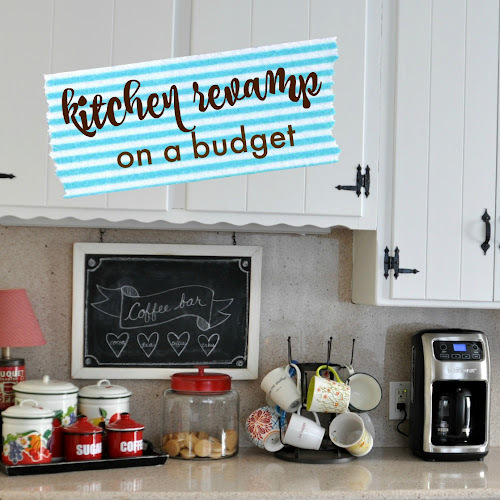 I also love collecting mugs and you have the prettiest ones on your blog. That bicycle one is so pretty. Oh, and I'm a morning blogger and reader too....with coffee in hand. 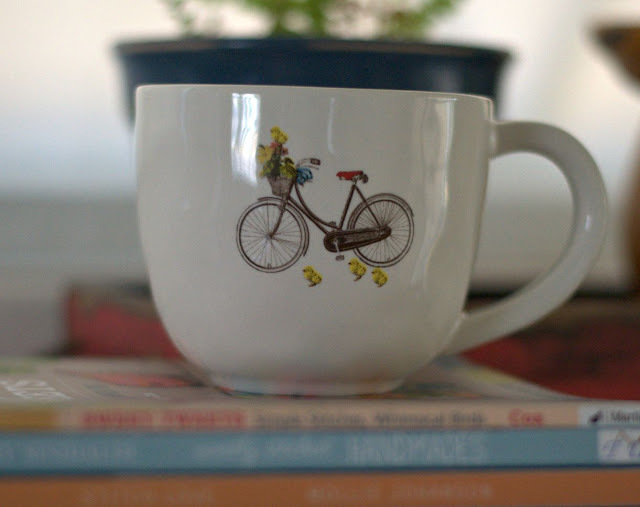 I love the bicycle mugs and have 2 of my own! Looks like some cute gifts can come out of your cute books! I've been feeling pretty creative and crafty myself lately. Must be that Fall is on it's way . Love the looks of that new book! I was just thinking that I need several more hours in the day. I mean, how am I supposed to have enough time to do all the crafts, recipes and projects that I want to do? 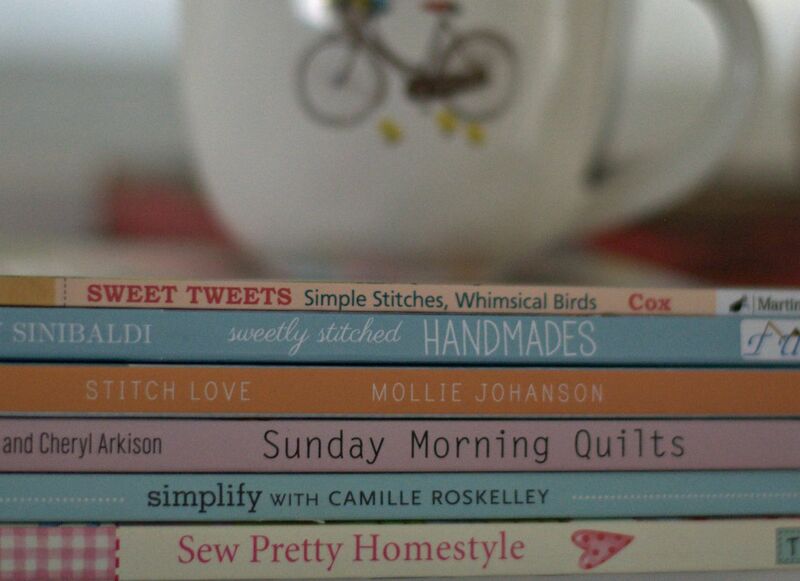 Love all of your sweet little home crafting books. I have (and love and want more of) those types of books too and hardly even seem to take the time to actually make something from them! The dreaming part is really fun. I'll be anxious to see what you make! I've been working on some things for my Etsy shop, but as usual I'm behind the seasons.. I'm just now making things for spring! and here it is almost Fall already. I'd better change gears. In fact I should start now on Christmas stuff! As for blogging times and reading times, I generally type my blog whenever the spirit moves me, but I schedule it to publish in the morning hours. I make a few exceptions but that's my norm. 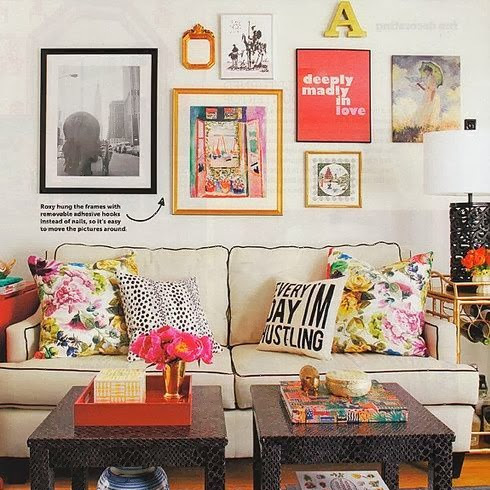 I love Amy Simbaldi's style and one Finnager's Sew Pretty Homestyle. 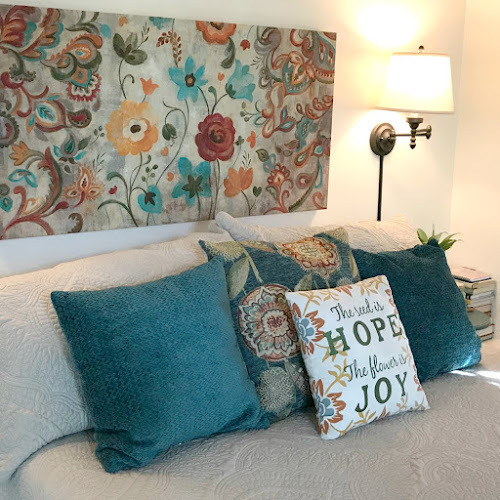 Such sweet, pretty designs, and it looks like you have found more that I would like as well! It is so hard to do all the pretty projects, sometimes (mostly) I just have to happy paging through and reaming and maybe choosing one favorite project to try. 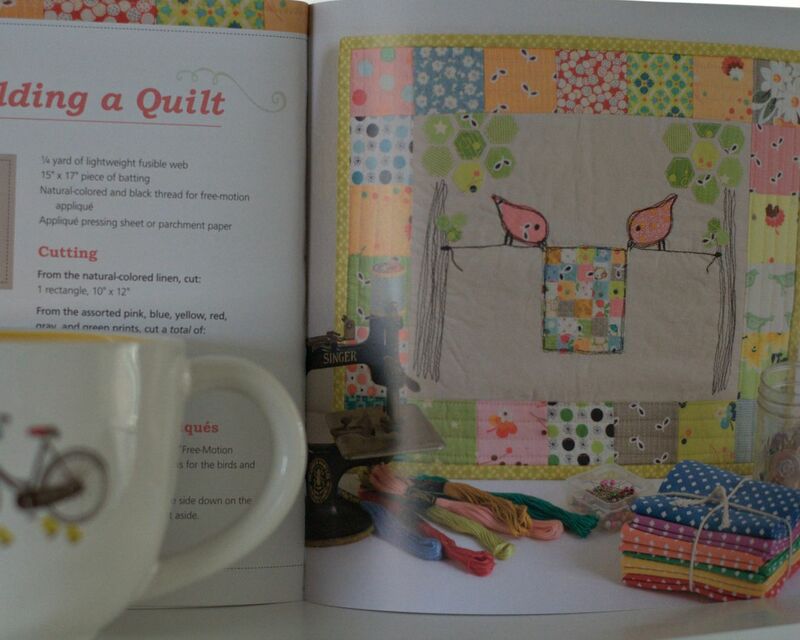 I Have Lori Holts quilting books too, and some day..... I always wonder about publishing time too, but I figure my friends will see the afternoon posts the next morning and that's ok. yours are on my feed so I never miss one. I usually get my housework done first....when the house is right then my mind is ready to be creative. Structured, yes I am. Yikes.